As houseplants enjoy a resurgence in our culture, untold numbers of novice and expert growers alike will have undoubtedly tried their luck at a succulent or two. Succulent, of course, is not a taxonomic division, but rather a way of describing the anatomy of myriad plants adapted to harsh, dry environments around the world. 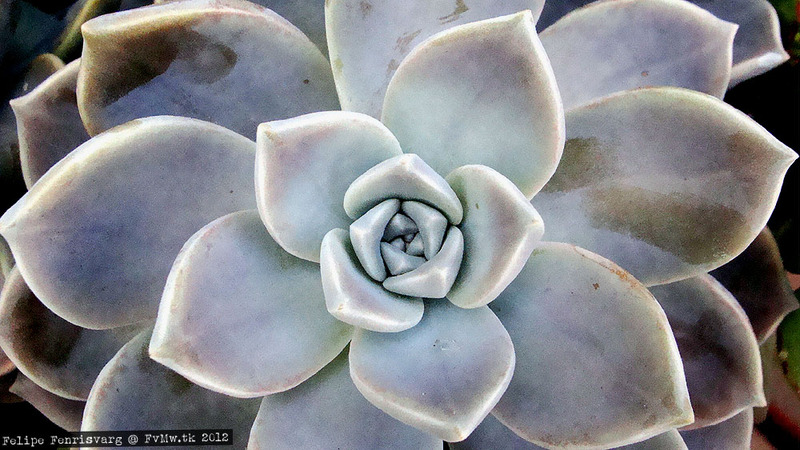 One of the most common succulents in the trade is the ghost plant (Graptopetalum paraguayense). I would bet that, if you are reading this and you grow houseplants, you have probably grown a ghost plant at one point or another. They are easy to grow and will propagate a whole new plant from only a single leaf. Despite its worldwide popularity, the ghost plant is shrouded in mystery and confusion. To date, we know next to nothing about its ecology. Much of this stems from poor record keeping and the fact that we have no idea exactly where this species originated. That's right, we do not know the location of its native habitat. Records indicate that the first plants to find their way into human hands were imported into New York in 1904. Apparently, they were growing as "weeds" at the base of some South American cacti. Plants were lucky enough to wind up in the hands of competent botanists and the species has ended up with the name Graptopetalum paraguayense. The specific epithet "paraguayense" was an indication of much confusion to come as it was thought that the ghost plant originated in Paraguay. Time has barely improved our knowledge. Considering many of its relatives hail from Mexico, it gradually became more apparent that South America could not claim this species as its own. Luck changed only relatively recently with the discovery of a population of a unique color variant of the ghost plant on a single mountain in northeastern Mexico. A thorough search of the area did not reveal any plants that resemble the plant so many of us know and love. It has been suggested that the original population from which the type species was described is probably growing atop an isolated mountain peak somewhere nearby in the Chihuahuan Desert. Despite all of the mystery surrounding this species, we can nonetheless elucidate some aspects about its biology by observing plants in cultivation. It goes without saying that the ghost plant is a species of dry, nutrient-poor habitats. Its succulence and tolerance of a wide array of soil conditions is a testament to its hardy disposition. Also, if plants are grown in full sun, they develop a bluish, waxy coating on their leaves. This is likely a form of sunscreen that the plant produces to protect it from sun scorch. As such, one can assume that its native habitat is quite sunny, though its ability to tolerate shade suggests it likely shares its habitat with shrubby vegetation as well. Given enough time and proper care, ghost plants will produce sprays of erect, 5 pointed flowers. It is not known who might pollinate them in the wild. It is always interesting to me that a plant can be so well known to growers while at the same time being a complete mystery in every other way. A search of the literature shows that most of the scientific attention given to the ghost plant centers on potentially useful compounds that can be extracted from its tissues. Such is the case for far too many plant species, both known and unknown alike. Perhaps, in the not too distant future, some intrepid botanist will at last scramble up the right mountain and rediscover the original habitat of this wonderful plant. Until then, I hope this small introduction provides you with a new found appreciation for this wonderfully adaptable houseplant.